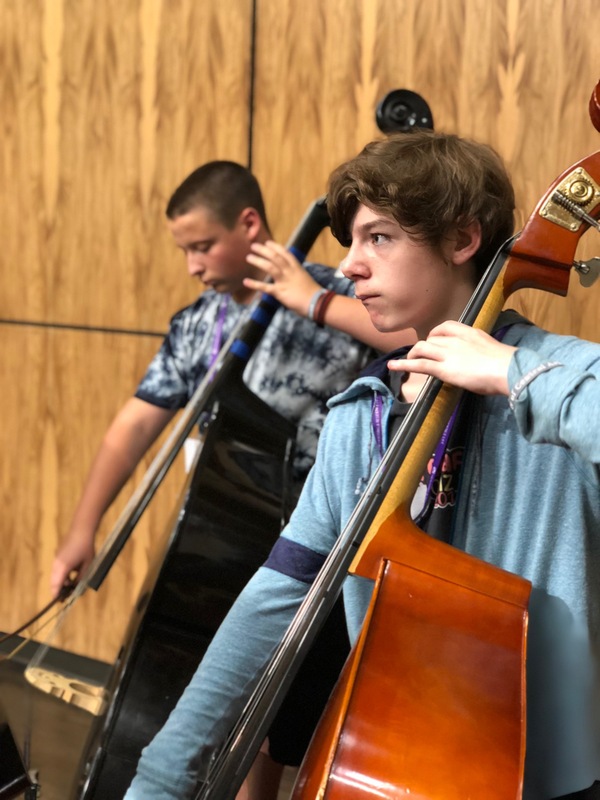 ELEVENTH ANNUAL UCA CMI SUMMER STRINGS CAMP: JULY 14-20, 2019! MAKE SURE TO READ THROUGH AND PRINT OFF ENTIRE CAMP PACKET! Additional Teachers – Dr. Stephen Feldman, Greta Lane, Anna Bass, Robert Brooks, Joel Schnackel and more! The UCA CMI Summer Strings Camp is a comprehensive week-long program for violin, viola, cello and double bass players at the early to intermediate levels of instruction and beyond. The camp is primarily for 6th-12th grade students; students should have completed at least one year of private lessons or one year of orchestra before attending camp. Activities during the day will include rehearsals and special activities, instrument maintenance demonstrations, the Camp Talent Show, and other fun activities! Night activities will be available for both commuters and on-campus campers and include Wild River Country, Movie Night, the Camp Dance and more! 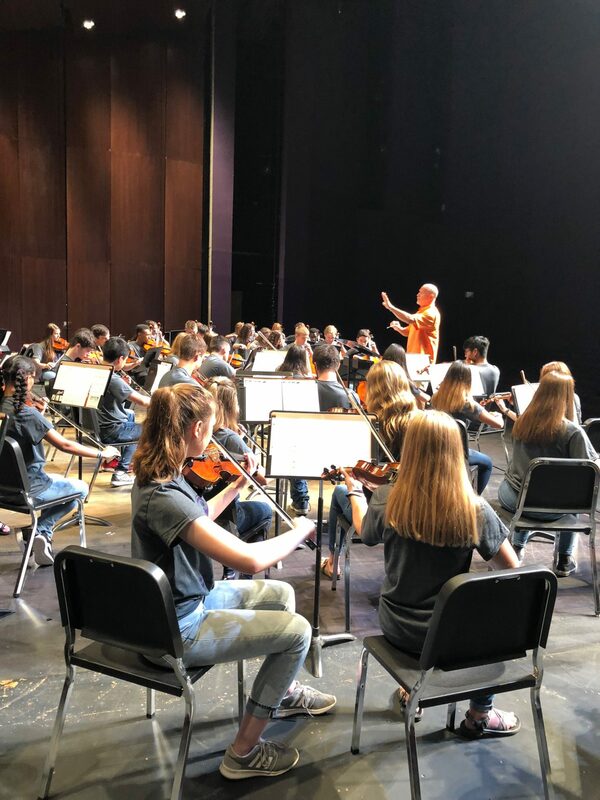 The camp will end with a rousing and inspiring concert Saturday morning, July 20, at 10:30AM at Reynolds Performance Hall, with performances by the Bear Quintet, Grey Orchestra, Purple Orchestra and Bear Orchestra. Camp Tuition: Commuters $275 (for lunch and dinner) On-Campus $450. DEADLINE FOR CAMP REGISTRATION WITHOUT A LATE FEE IS JUNE 28, 2019 AT MIDNIGHT. Regular camp hours for commuters are 8:15 am until 5:00 pm Monday – Friday. Drop off and Pick up will be at the front (south) entrance of the Snow Fine Arts Center (SFAC) and is from 7:30 am-8:00 am. On the first full day of activities, the first session will be held at 8:15am in the Recital Hall; students will then be separated into groups and given a week-long class schedule. Rehearsals begin daily at 8:15am. A free Camp T-shirt is provided for campers who register by June 28, 2019. Mark your size on the registration application. Cancellations made prior to July 5, 2019 will be refunded in the amount of the tuition paid, minus the registration fee of $25 (included in the tuition cost). Registration must be paid in full by 4:30pm on July 8th, 2019. All policies and conditions of the UCA Community Music Institute are agreed upon when a registration form is completed online. For our policies please call us at 501-450-3672. Band and Choir students: For information about additional music camps held at UCA but not sponsored by the UCA CMI, go to www.uca.edu/music .